Firstly the club would like to thank the efforts of all involved with the running of Northallerton Town FC. A Huge thanks to all supporters, volunteers and sponsors, without your support we would not be in the strong position we are. As a club we would like to start our update with an announcement. Following discussions with Darren Trotter and Richie Farrell the pair have accepted the clubs offer to continue as Manager and Assistant Manager for next seasons campaign. Club Chairman Dave Watson is happy to get the situation resolved at an early stage and stated that "The committee have ensured the necessary support to achieve promotion". 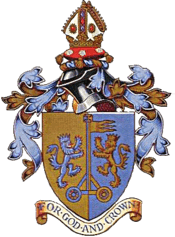 The club as a whole are keen to progress next season and continue to help Northallerton Town FC be a club at the heart of the community in which it plays it's games. Another area to update you all on and to put to bed any rumours of a lateral move, we can confirm that Northallerton Town FC will continue as a member of the Ebac Northern League. The Football Association today announced the names of the clubs that will be relegated from and promoted to the Ebac Northern League for the 2018/19 season. Redcar Athletic and Birtley Town are promoted to Division Two from the Wearside League and the Northern Football Alliance respectively. They have confirmed that Blyth AFC, Hebburn Town and Whickham are promoted to Division One, with Billingham Synthonia and Washington relegated to Division Two. The moves are subject to appeals by clubs. We hope to see you all for the 2018-2019 campaign. We will shortly be releasing our pre-season schedule and information on how you can get involved with the club.